Okara is a pulp consisting of insoluble parts of the soybean that remains after pureed soybeans are filtered in the production of soy milk and tofu. It is generally white or yellowish in color. Okara is low in fat and high in calcium, protein and dietary fiber is sold at almost all Japanese supermarkets in the tofu isle. In Japanese cuisine, okara is most commonly used to prepare unohana, a popular and traditional savory side dish made by sauteing okara, vegetables such as carrot, burdock, green onion and shiitake mushrooms, and konnyaku in soy sauce and mirin. 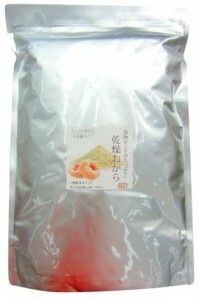 It is a popular accompaniment dish for main courses in Japan because it’s nutritious and has a tasty sweet flavour. Okara can also be utilized as a versatile nutritious and diet-friendly addition to baked goods. If you want to go gluten-free, you can entirely replace the flour with okara. It will give baked goods a deliciously moist feel. Try this Okara Pancake recipe! 1.Mix the flour with the baking powder. 2.In a separate bowl, crack the egg; add sugar and milk and mix well. 3. Add okara into the bowl and mix until okara softens. 4. Put the flour and baking powder into the bowl and mix well until the flour disappears. Let it sit for 15 minutes. 5. Heat a Teflon coated frying pan. Use 1/6 of the batter for one pancake. Cook for five minutes on low heat with a lid on, then turn over and cook for 2 minutes more. 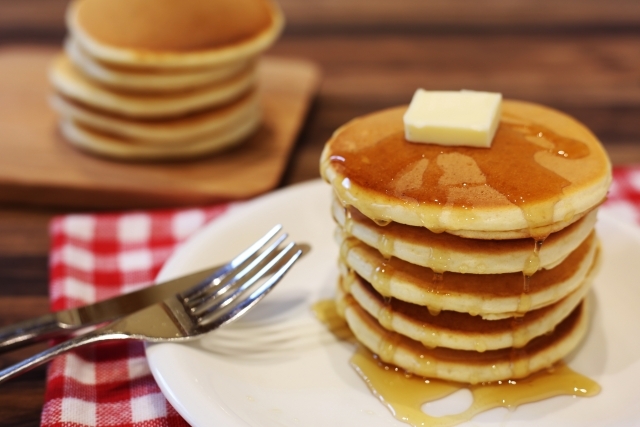 If pancakes stick to the frying pan, spread a thin layer of butter to the pan. 6. Serve with butter and maple syrup. Enjoy!